I hate it when I have to do this. to say one final goodbye to someone I spent many years watching on TV or seeing live. Unfortunately, life isn’t about what I want. 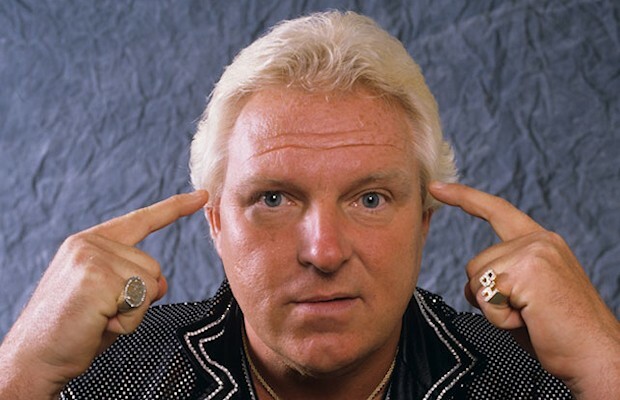 Last Sunday afternoon, Bobby “The Brain” Heenan passed away at age 73 of organ failure brought on by years of cancer. There a lot of deaths in wrestling. People don’t live forever. But this one is one that hits me very hard, as it did for a lot of people. Bobby was one of those true characters in wrestling that you just couldn’t turn away from. As a manager, he was almost in the middle of the action. He made anyone he managed that much better. His antics in and out of the ring were masterful in the wrestling world. That’s how I first saw him, as a manager outside the ring (and occasionally inside as well) doing his damndest to have his guys win, but most of all, putting on a damn good show. When I first got into wrestling he was managing guys like Rick Rude, Andre The Giant, The Red Rooster, King Haku, The Brain Busters, and even The Brooklyn Brawler. His stuff on WWF Superstars was good, but his stuff on Saturday Night’s main event was gold to me. My uncle would send me tapes of PrimeTime Wrestling and I got to see the real magic though with him and Gorilla Monsoon. He not only was a great wrestling manager, but his humor, timing, and wit were the stuff of comedy legends. As the years went on I got to see him become a full-time broadcaster, and then with the advent of Youtube, I got to see all the stuff from before I watched wrestling and even before I was born. Stuff from his AWA days, Chicago, Georgia, everywhere he went he made a mark and did an amazing job at it. He always played the heel, the bad guy, but never was the one who did all the fighting. He was the evil mastermind who made life hell for the good guys and boy did he play his part. 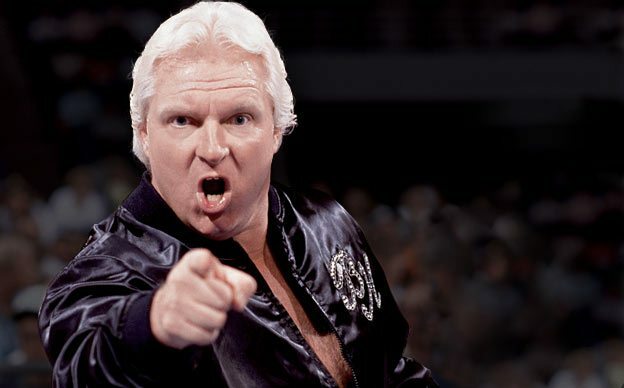 For me, there is no single “best Bobby Heenan” moment. There are several. His call of the 1992 Royal Rumble match is a show itself. From the cheering of Ric Flair to the flustered moments to praying to God himself, he had more range of motion in that match that a lot of movies do! 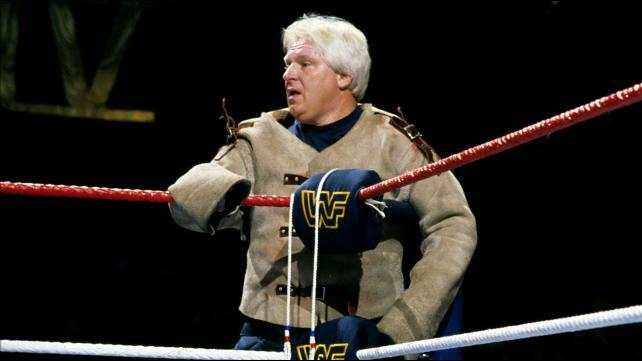 One of my favorite events is Wrestlemania IV and part of that was Bobby coming out for a match wearing a protective dog handlers outfit. All the stuff from Primetime when he went on the road like filming a cowboy movie or going to locations for Wrestlemania, all classic moments. And the best part is, every day I find more stuff I’ve never seen before. It was sad to hear he got so sick back in the early 2000s, especially once the radiation and things had taken his lower jaw and we couldn’t hear his humor anymore, but that didn’t stop him. turns out he was way more a fighter in life than he was in the ring. He was still going to conventions rather recently and still doing wrestling things. I never got to meet him personally, but everyone who did said he was an amazing person. With his passing, at least his fight is over. He can rest and no longer has to fight. Now one can imagine he and Gorilla are together in spirit for a few drinks and some one-liners. Thanks again for everything Bobby. Brain, Weasel, legend, and one we will never forget. You know what is awesome? Pretty geek ladies. Join Cosplay Deviants to see much more! Posted by soultsukino on September 19, 2017 in Soul Tsukino and tagged Bobby Heenan, Brain, Damn Write, Goodbte, Soul Tsukino, Weasel.